Completely redeveloped by the DC Code Team. The sh*t-kicking fantasy MUD since 1992. 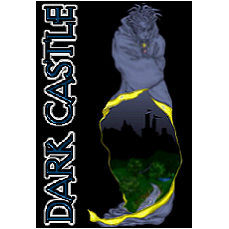 Dark Castle is an exciting and long-standing MUD open to players of all ages. DC boasts an active and free thinking Immortal staff who rarely censor language, violence, or actions. With several expansive continents and over 100 original areas, Dark Castle MUD is a challenge to both new and experienced mudders alike. * A detailed and highly developed player-run CLAN SYSTEM. * A 'META-PHYSICIAN' where attributes and upgrades can be purchased. * A vast array of items, mobs, areas, and storylines. * A variety of well-developed races and classes. * Professions for character and class specialization. * An all-original CASINO utilizing actual rules and odds. * An exciting fully automated QUEST system. * A LEADERBOARD to compare your character to the competition. * A flexible, unique combat system full of gore and mayhem. * Free player VAULTS for storing, saving, and sharing your loot! * A player-run AUCTION HOUSE for buying and selling goods. * Comprehensive helpfiles for both new and veteran players. * Many more ORIGINAL FEATURES only found on Dark Castle! Players new to mudding: feel free to seek an Immortal for advice as not all of the Dark Castle denizens work for the 'good-guys'. With stable, consistent coding and balance and an exciting new quest and character development system, Dark Castle is still the most sh*t- kicking game around! Join the adventure that got zMUD's Zugg himself started! Dark Castle: because chicks dig swords.